MONDAY, let’s start the with the top Dining Room Rules! December is here and for our dining room rules today we’re going to talk about winter trends and how white lamps will complete your dining room design! Aretha Suspension Lamp is the first one of our list, and we could not start the best way! This lighting piece has a special touch that Aretha Franklyn had her self, that class and elegance we can see here. With this christmas decoration it’s impossible not to fall in love the her. This is how our dining room rules begin! Such a great idea for a your dining room lighting, this example here comes with Hanna Suspension Lamp, an incredible lighting piece who will be able to give the best lighting, we can assure you that. 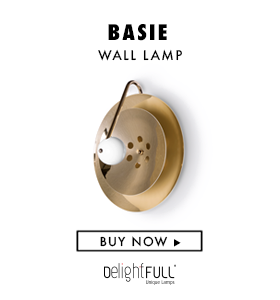 Handmade in brass and aluminum with gold plated and white matte shades, this one is just an amazing choice for you! We always want what’s best for your dining room interior design, and that is why we present you Etta Round Suspension Lamp! Imagine this lighting piece feature in your christmas dining room, how awesome that will be? Handmade in brass, with the additional unique feature of each one of its leaves being shaped and assembled by hand, just for you to know how special he is. Dining Room Rules with Cosmo Suspension Lamp, another winter trends for your home! Cosmo modern chandelier is inspired by space, galaxies and the planets that surround us. He will definitely surround the people around you and make them ask why this one? Make it your own! Atomic Pendant Lamp should be here, not only because of it’s design which is handmade by the best skilled artisans in Portugal, it also because of it’s many light focus that will bring a bright environment to your dining room, we garantee you that! Our dining room rules RULE!